So, back to Spring! I was browsing the internet looking for some cooking inspiration and came across a photograph of a beautiful polenta and asparagus dish served at AOC restaurant in Los Angeles. I’ve never eaten at this restaurant, but the photograph intrigued me so much that I had to recreate it at home. 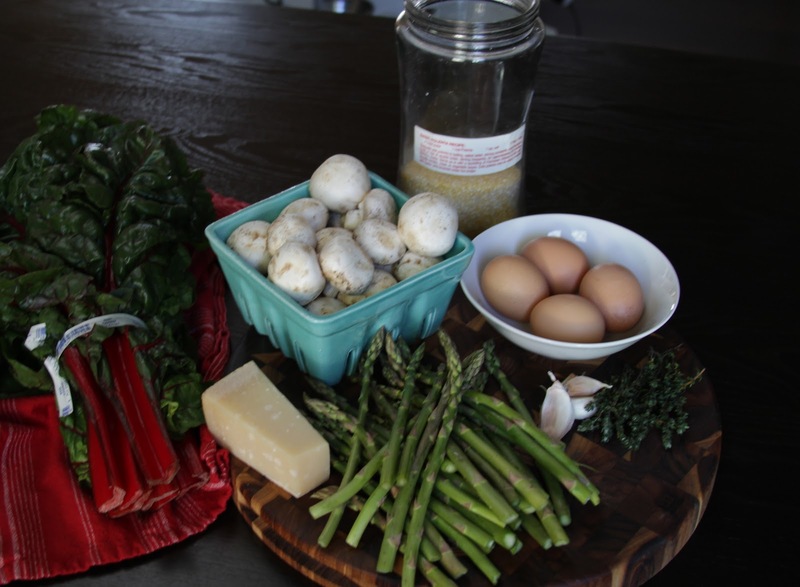 You see, it combined two ingredients that just scream Spring for me: asparagus and six-minute eggs. Now, six-minute eggs have flummoxed me in the past because I’ve never been able to peel them without tearing off half of the whites along with the eggshell, but thanks to some sage advice from an old friend who suggested adding vinegar to the boiling water, they peeled beautifully. I just love an oozy yolk! This dish would be equally wonderful with a poached egg on top, but a six-minute egg is less high-maintenance! For perfect six-minute eggs, first allow the eggs to come to room temperature. Prepare a separate bowl with water and ice cubes. Bring a pot of water to boil and add a splash of white vinegar to the water. I don’t know why this works, but, trust me, it makes a world of difference when it comes to peeling them. Carefully slip the eggs into the boiling water and set a timer for six minutes for large size eggs. Subtract or add 30 seconds for medium or extra-large eggs, respectively. After they have boiled for six minutes, remove the eggs and place them immediately in the ice water bath. After the eggs have cooled, peel and set aside. To serve the eggs warm, put them into a bowl with hot (not boiling) water for a few minutes prior to serving. In a saucepan, slowly heat the olive oil and add the garlic, rosemary and thyme, stirring for about two minutes so that the herbs release their fragrance. Add the stock, milk and salt and bring the liquid up to boiling. Slowly whisk in the polenta and lower the heat to low, stirring frequently for about 25 minutes. Stir in butter and parmesan cheese. Trim and wash a pound of asparagus. Place in a shallow baking dish and season with a drizzle of olive oil, salt and black pepper. Place under the broiler for approximately 10 minutes or until tender . 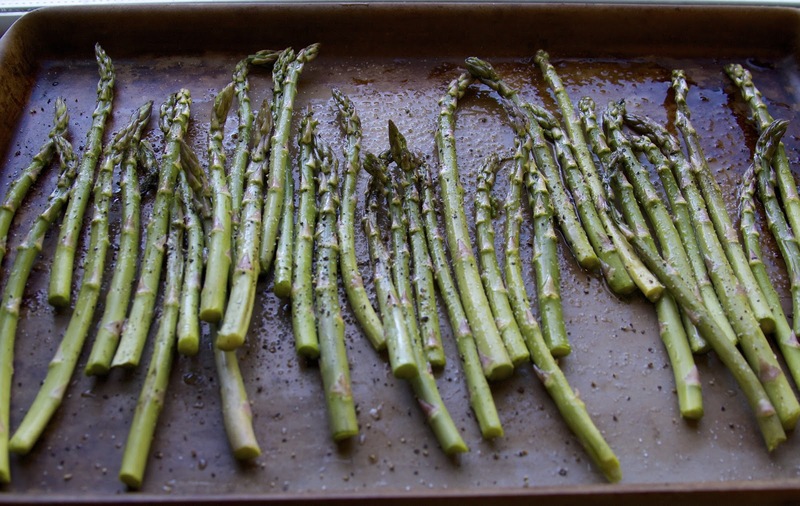 Greens cook quickly and can be done during the time that the asparagus are in the broiler. Sauté the mushrooms in batches in olive oil with a pinch of salt until they have released their liquid and are golden brown. Be careful not to put too many mushrooms in the pan at the same time, or they will steam and not get that nice, browned exterior. Remove the mushrooms and sauté the garlic and shallot for about 2-3 minutes until softened. Add the chopped greens and mushrooms to the pan, then add the splash of white wine or broth. Cover the pan for about a minute or until the greens have wilted. Add the peas, herbs, salt and pepper to taste and cook for an additional 2-3 minutes. 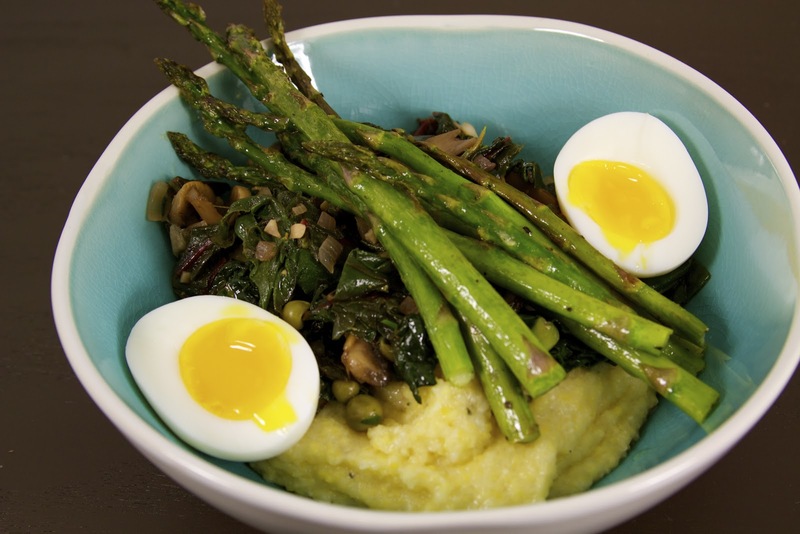 Serve the polenta in a bowl topped with the sautéed vegetables and the broiled asparagus. Slice the eggs in half and serve alongside the polenta. We had this dish for dinner, even though the original dish was made for brunch. It was a great way to celebrate the first official day of Spring!